Go to https://quiltersplanner.com/affiliate-dashboard/ and register for a new account. 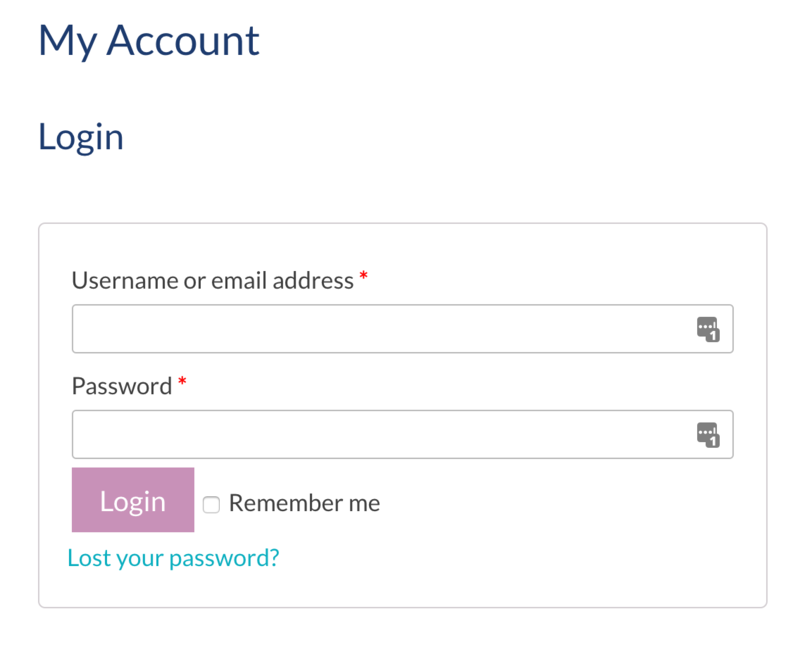 You will receive an email confirmation about your new account. Email address linked to your PayPal account (affiliate payments will be made to you on the 1st of each month). If you forget to enter this, you will not receive your payment! Under Bio – please list the name of your shop, if you have one. 3. 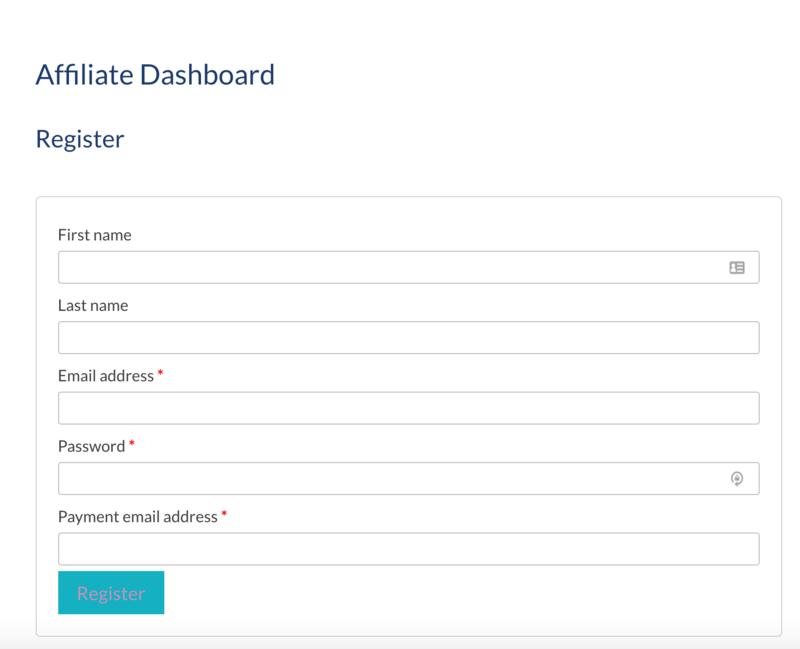 Go to the link https://quiltersplanner.com/affiliate-dashboard/ to see all the information about your affiliate account including your payment rate, affiliate purchases, and includes a link generator. 4. 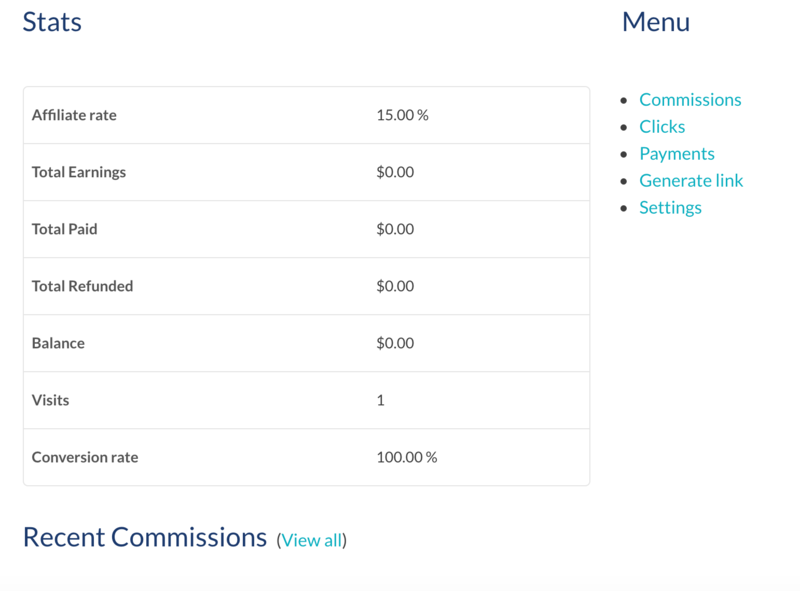 The Generate Link page is the most important page in the affiliate dashboard. Use it to create your personalized link in order to receive affiliate credit. 6. Paste your URL into the first box in the Generate Link area and click the Generate button. The URL that appears in the Referral URL box is your referral link. 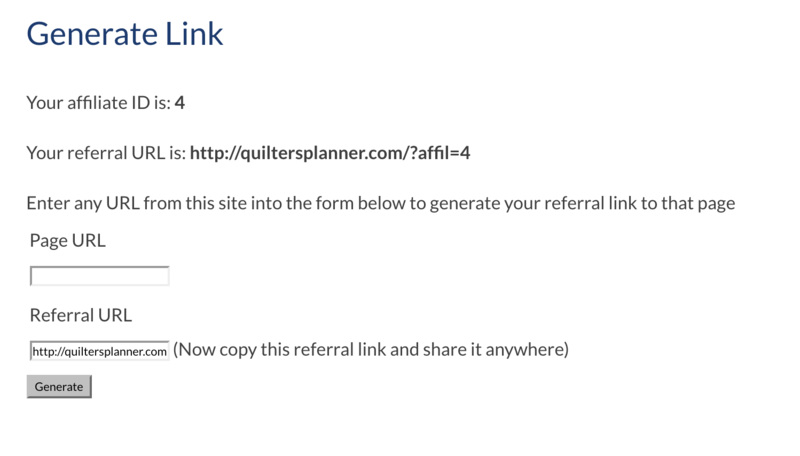 When you write your blog posts or otherwise want to receive affiliate credit for your followers that purchase the Quilter’s Planner, send them your generated link. A correctly generated link should look something like this – https://quiltersplanner.com/product/2018-quilters-planner-bundle/?affil=4 . Note the ?affil=4 at the end. Every affiliate link should have this at the end of the url (but the number will change depending on who you are).